James Marsh, the Oscar and BAFTA award-winning film and documentary maker, is to be awarded an Honorary Doctorate from the University of Plymouth next week in recognition of his achievements. The Hollywood director, best known for The Theory of Everything, the biopic of Stephen Hawking, and the documentary Man on Wire, the story of Philippe Petit’s high wire walk between the Twin Towers of the World Trade Center in 1974, will receive an Honorary Doctorate of Arts during the celebrations on Plymouth Hoe. He will be joined by well-known stage, film and television actress, Maggie Steed, who is also being awarded an Honorary Doctorate of Arts. Dr Sara Hurley, Chief Dental Officer for England, will receive an Honorary Doctorate of Health; Global philanthropist Robert Hartsook is being awarded an Honorary Doctorate of Business; and international scientist Dr Patrick Gane will receive an Honorary Doctorate of Science. 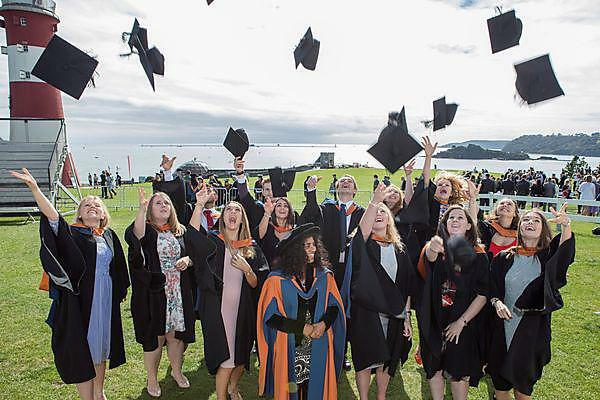 The University’s annual Graduation Week will feature 18 ceremonies, with a total of 5,000 undergraduate and postgraduate students receiving their honours degrees. Staged in one of the largest marquee structures of any event in Europe, Graduation is expected to attract 15,000 visitors to the city, making a contribution of more than £2.4 million to the local economy. The University is conferring five honorary doctorates this year, with James Marsh to receive his Honorary Doctorate of Arts on Friday 22 September. The Truro-born filmmaker is best known for Man on Wire, which won the 2008 Academy Award for Best Documentary Feature, and 2014’s The Theory of Everything, which scooped multiple accolades including a Best Actor Oscar for Eddie Redmayne. Maggie Steed, who has graced some of the most acclaimed British dramas of the past 30 years, receives her Honorary Doctorate of Arts on Saturday 23 September. Maggie, born in Plymouth, is currently starring in Eastenders, but is perhaps best known for her comic roles in the likes of Shine On Harvey Moon, French and Saunders, and Jam and Jerusalem, as well as dramas such as Pie in the Sky. In addition to the honorary doctorates, the University is also awarding Honorary Fellowships to Cornish-born dancer, choreographer and stage designer Theo Clinkard; former conductor and artistic director Simon Ible; and Dave Turnbull, CEO of the British Mountaineering Council.